I shoot stills and video with Nikon DSLR Cameras. I shoot video with GoPro Hero 5, Hero 4 Black, Hero 4 Silver and my Nikon DSLR's in video mode. I use Apple products and software daily including a MacBook Pro 15" Retina, 27" iMac, iPhone, iPad. I use Final Cut Pro X for all my video editing needs. 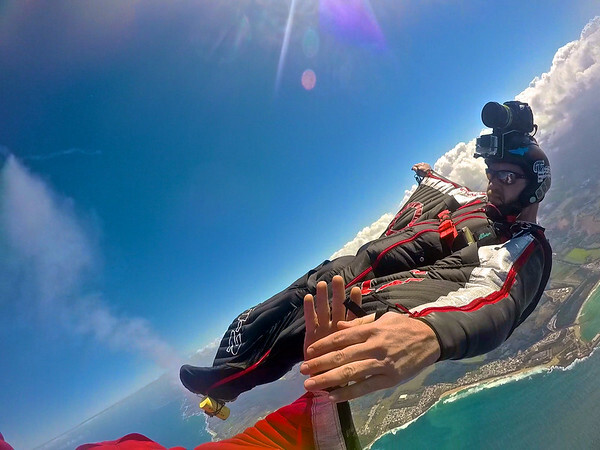 I wear Alti-2 products on every skydive including the Atlas, N3 and Galaxy. I use Vigil AAD's in both of my skydive rigs. I jump Mirage Skydiving Containers. Their fit and style is top notch! I wear Tonfly helmets to mount my cameras. I own a 3X and a CC2. I use Squirrel wingsuits, tracking suits, and advanced pilot chutes. I wear Oakley Sunglasses for just about everything.